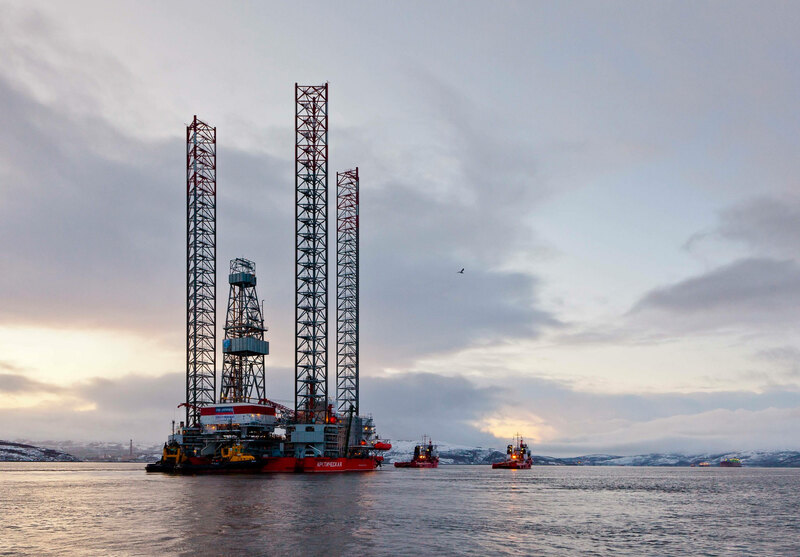 As this year’s drilling in icy waters comes to a close, Chinese rig «Nanhai VIII» prepares for departure home after operations in the Kara Sea. The rig that is also called «Nan Hai Ba Hao» arrived in Murmansk on 23rd June and started drilling on the Rusanovsky field in early August. Ice conditions in the Kara Sea were complicated and drilling had to be postponed for several weeks. 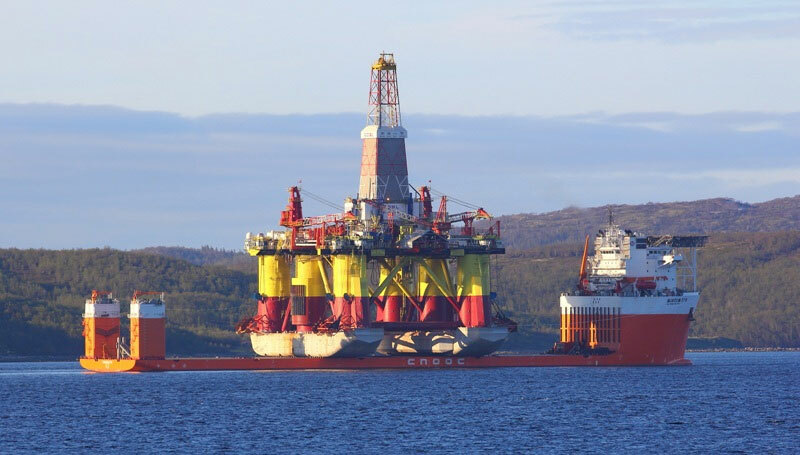 The rig was brought to Murmansk by Chinese heavy lift vessel «Hai Yang Shi You 278» and subsequently towed to the Kara Sea by Norwegian ship «Siem Emerald». It was the second year in a row that the Chinese rig was in the Russian North. In 2017, it successfully made a significant discovery in the Leningradskoye field. Both the Rusanovskoye and Leningradskoye licenses are located in the Kara Sea and belong to Russian national energy company Gazprom. The «Nan Hai Ba Hao» is now on anchor in the Kola Bay awaiting a heavy lift vessel. It arrived in Murmansk about 1st November, information from ship tracking services show. Also the two Russian rigs that engaged in Arctic drilling are now back in port. Company Gazprom Flot, a subsidiary of Gazprom, informs that its «Arcticheskaya» and «Amazon» rigs have completed their drilling seasons. According to the company, this year’s well drilling was conducted under difficult meteorological conditions. It was the first time in many years that all the company’s drilling rigs were in operation at the same time. «It required maximum mobilization of all efforts and resources of the company, careful planning and quick reaction to problems,» Gazprom Flot says. 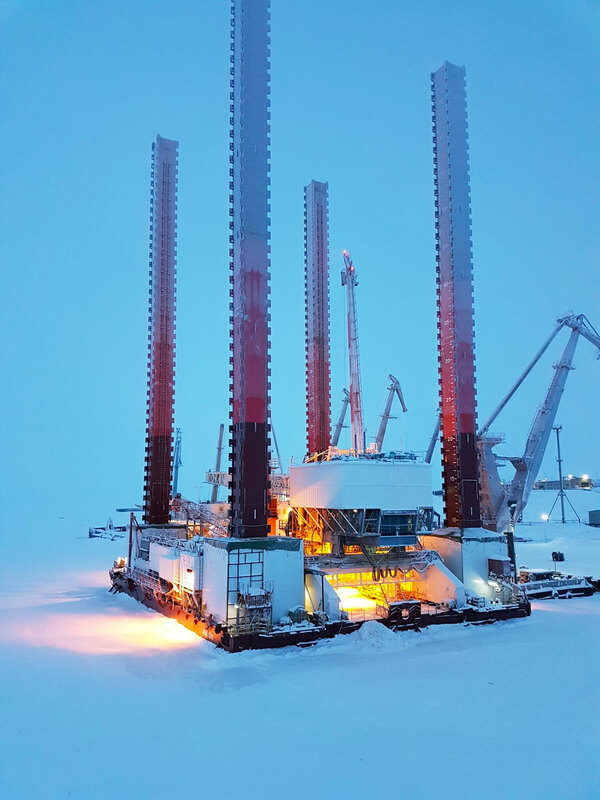 While the «Arcticheskaya» drilling at the Nyarmeysky license area, the «Amazon» drilled a well for company Novatek at the Severo-Obskoye, a license area located in the northern part of the Gulf of Ob. It was the first operation of the «Amazon» in several years and Gazprom Neft had built up a new crew of specialists ahead of the drilling. The operation started on 20th July and proceeded successfully, the company informs in its corporate newspaper. Also the Norwegian supply vessels that were involved in the operations are back home. At least five Norwegian ships were hired by the Russians, among them «Boa Bison», «Norsea Fighter», «Sea Spear» and «Sea Supra» and «Siem Emerald».